What on earth is earth? A soil scientist tell us…and why we shouldn’t treat it like dirt. 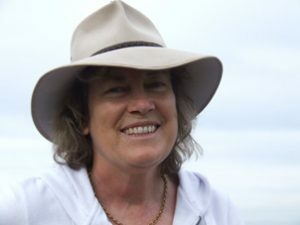 Christine Jones is a world-renowned soil scientist and ecologist who helps people transition from industrial to regenerative agriculture practices. Soil is the basis of all terrestrial life, and yet we are not far advanced in our understanding of the countless microbial species in the soil and how they work together. What we are pretty sure about is that it’s not a good idea to kill them. Dr. Jones tell us about the the hazards of dead soil and the many benefits of restoring it to life. Many thanks to KSFR, Santa Fe Public Radio.